My view now is precisely the opposite. An organization’s mission, provided it is lived by its leaders, has everything to do with the day-to-day. It gives the day-to-day its purpose. It’s why we’re here rather than somewhere else. Toward the beginning of my tenure as Chair of the Department of Computer and Mathematical Sciences, I worked with my colleagues to create a mission statement for the department. I still hadn’t embraced the centrality of the concept, but the University was so focused on its own, and so I thought it might be wise to carve out our own identity within that larger theme. We came up with this: “To prepare innovative problem solvers committed to service” Short, simple, and completely in line with an academic department devoted to mathematics and computing, it seemed both fitting and obvious. We went all out on the Mission thing, designing a plaque that hangs in our hallway that expresses these words over a string of one’s and zero’s that spells out “Innovation Integrity Service”. Geek Mission Chic. It’s much more than that, however. Its brevity makes it easy to remember, and its clarity makes it simple to understand. These two ingredients enable us to use it as we work together toward accomplishing our shared vision and goals. Essentially, it provides a litmus test for everything we do. Do our plans, individually and collectively, help prepare students to be innovative problems solvers committed to service? No? Then why do them? If we hire this person for our open faculty position, will he work doggedly on behalf of students, placing their success and preparation ahead of his own? No? Then he’s not the right person for this department. Are decisions being made outside our department that jeopardize our ability to prepare our students as we have committed. Yes? Then we better fight to have our voices heard, and we must be ready to compromise when necessary, provided that compromise doesn’t lessen our ability to prepare innovative problem solvers committed to serve. A good mission statement – short, simple, and suggesting achievable and measurable outcomes rather than an amorphous spiritual sense – can keep you on the right track, even when circumstances test the stability of the rails. The easiest way for an organization to descend into chaos is to succumb to the clamor of egos. This can be particularly problematic if the organization’s leader is prone to self-aggrandizement. The leader of a mission-driven organization does well to sacrifice her own aspirations in pursuit of the goals of the organization she leads. She must measure her success in terms of how well the organization has actualized its Mission. With that model of self-sacrifice established from the top, those who work within the organization have something to guide how they approach their own work. If the organization’s people see a leader who can recite the Mission but consistently ignores it in pursuit of her own goals, that contradiction gets cited as hypocrisy, and hypocrisy is organizational cancer, spreading cynicism everywhere. 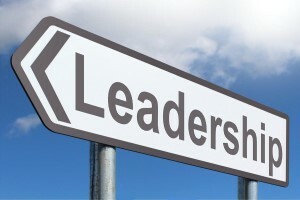 A leader who fully embraces the Mission and uses it to measure her own success helps her colleagues do the same, practically to the point where the organization seems to do the right thing automatically. Leadership isn’t hard. It’s a matter of codifying what matters succinctly, exactly, measurably, and memorably, and then demonstrating a serious, rock-solid commitment to achieving it at every turn. It all begins with Mission.